Volkswagen and Audi, 1.8L Turbocharger engines with codes for a misfire; PO300, PO3010, PO302, PO303 and PO304. These codes or often caused by the individual (coil-on-plug) ignition systems. Symptoms other than a check engine light would include loss of power, poor throttle response, misfire (bucking) and vehicle engine shutting off. In most conditions a misfire (engine Bucking) will point to a component of ignition system- spark plug, coil or wiring. Volkswagen and Audi vehicles with the the 1.8L turbocharged seem to have problems with the coil-on-plug ignition systems. Most likely the excessive heat causes the ignition coil and/or the harness to become brittle and cracked leading to engine misfires or failure. 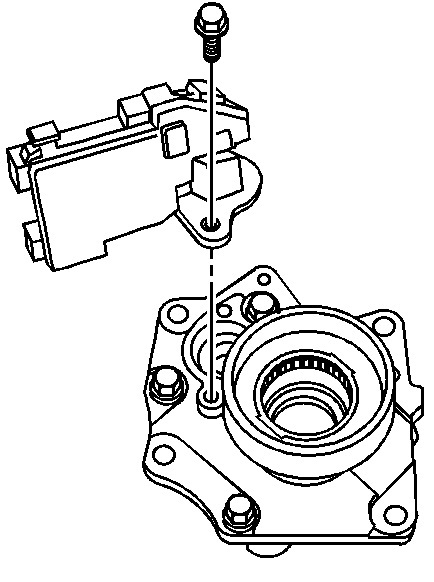 Ford vehicles with Pressure Feedback EGR Sensors (PFE) or Differential Pressure Feedback EGR Sensor (DPFE), may experience repeated false codes for the EGR system. This condition may be due to a hose problem, this hose is subject to high temperatures (melting) and carbon debris blockage. Other than a repeated check engine light, some driveability conditions that may be experienced include engine bucking (surging) during initial off-idle acceleration or cruising and may become as bad as engine stalling during deceleration. This TechSmart™ kit is a real problem solver featuring an extra heavy-duty hi-temp design to handle the pressure that ordinary hoses cannot. NOTE: This repair requires extensive knowledge & experience and is probably best done by a professional ASE certified automotive technician. 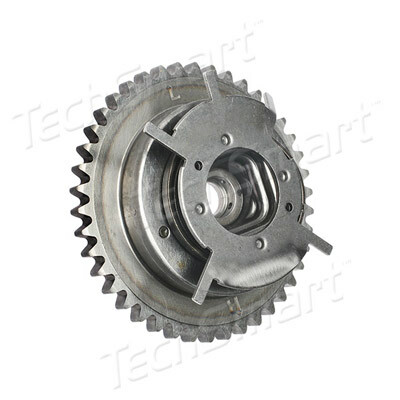 The variable valve timing (VVT) camshaft phaser is a sprocket that will alter its position in reference to commands from the PCM for variable valve timing. When this fails, the check engine light is illuminated, the vehicle may run rough, and experience a loss of power along with valve train noise. Timing chain procedures must be followed exactly or damage to valves and piston will result. 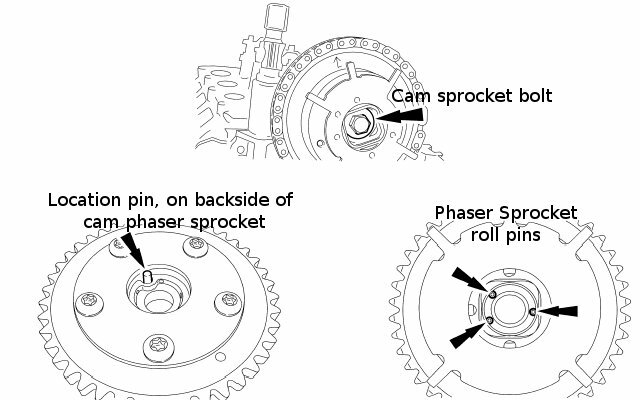 CAUTION- damage to the Phaser sprocket will occur if mishandled or used as a lifting or leveraging device. 1. Position the crankshaft pulley spoke to the 12 o’clock position and the timing mark indentation to the 1 o’clock position. 4. 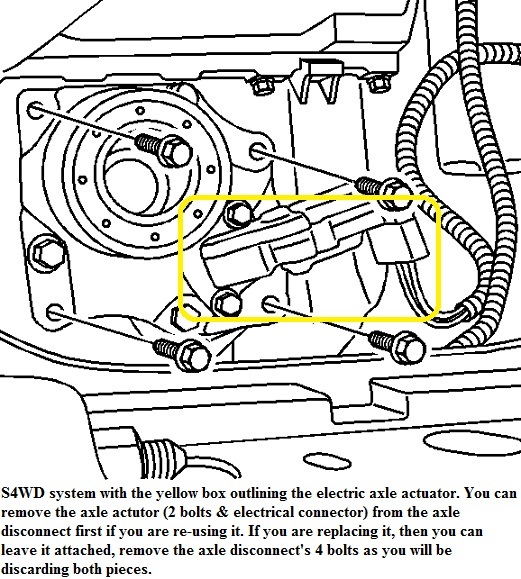 Disconnect the camshaft position sensor electrical connector, remove the hold down bolt and sensor. note- if the camshaft lobes are note exactly positioned as shown, the crankshaft will require one full additional rotation. Right hand camshaft—-the No. 1 cylinder camshaft exhaust lobe must be coming up on the exhaust stroke. verify by noting the position of the 2 intake camshaft lobes and the exhaust lobe on the No. 1 cylinder. 5. 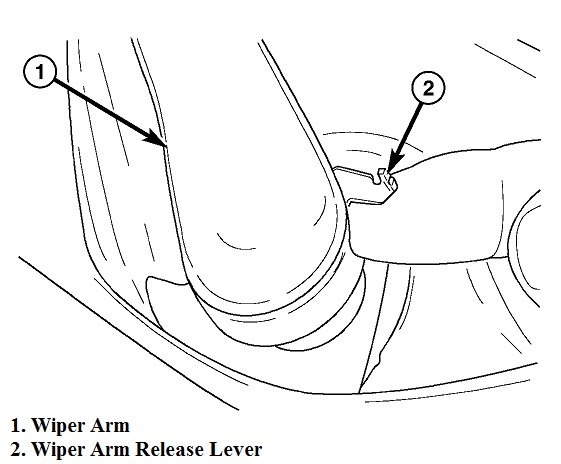 Remove only the 3 camshaft roller followers shown in the illustration. Caution- Do not allow the valve keepers to fall off the valve or they may drop into the cylinder. Roller Followers must be installed in their original locations. 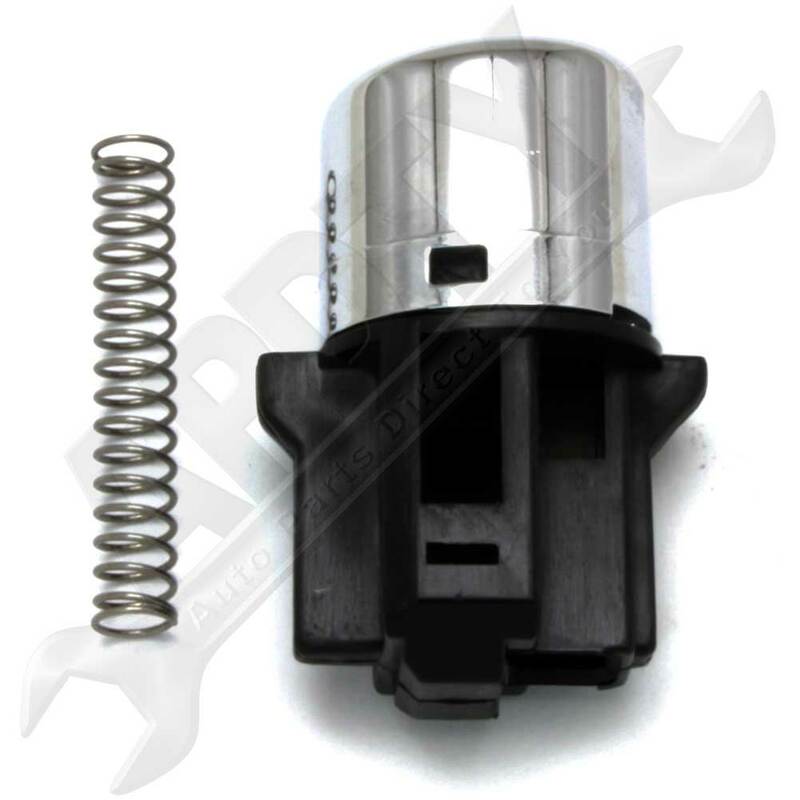 It may be necessary to push the valve down while compressing the spring. 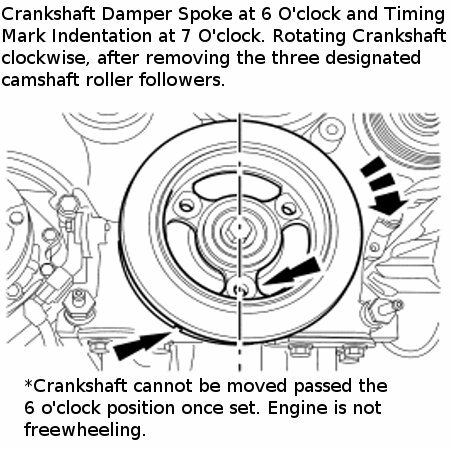 After removing the three cam roller followers, rotate the crankshaft clockwise, positioning the crankshaft damper spoke to the 6 o’clock position and the timing mark indentation to the 7 o’clock position. This tools must be installed square to the timing chain and the engine block. Do not remove tool at any time during servicing, if tool is removed during assembly the engine front cover must be removed to retime engine chain. 6. Scribe marks on camshaft phaser and chain, before removing camshaft. 7. 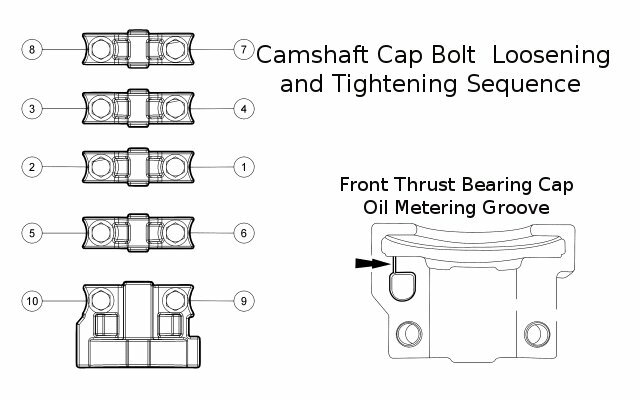 Loosen camshaft bearing cap bolts in sequence. Inspect front thrust bearing cap oil metering groove for foreign debris. 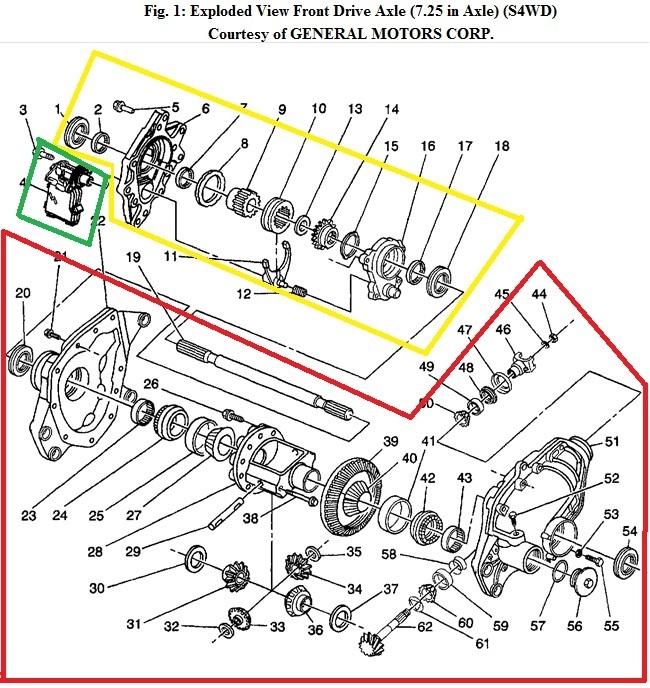 If Removing the camshaft do not allow the roller followers to move out of position. All parts removed, bearing caps and rollers need to go back in there original locations. 8. Remove the camshaft phaser. After removing camshaft phaser sprocket, inspect the sprocket for missing or damaged roll pins. remove the sprocket from camshaft, is the location pin deformed or damaged, Replace. 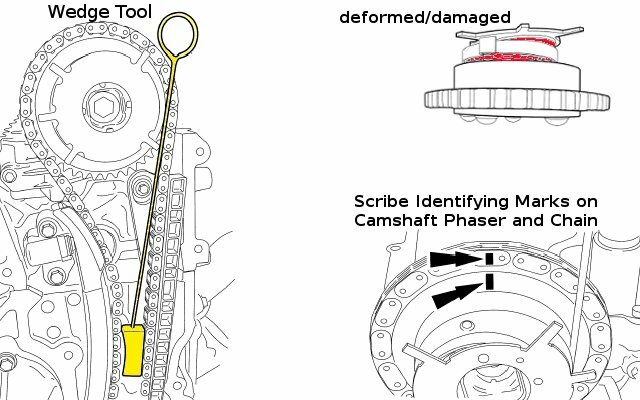 When installing the new Camshaft Phaser transfer the original scribe mark to the new camshaft phaser sprocket. 10. Install the camshaft phaser into position, verify the sprocket and timing chain scribe marks are still in alignment. 11.Lubricate and install the camshaft bearing caps. install the front position cap first, then the remaining caps, installing the bolts loosely. 13. remove the timing cam wedge tool. 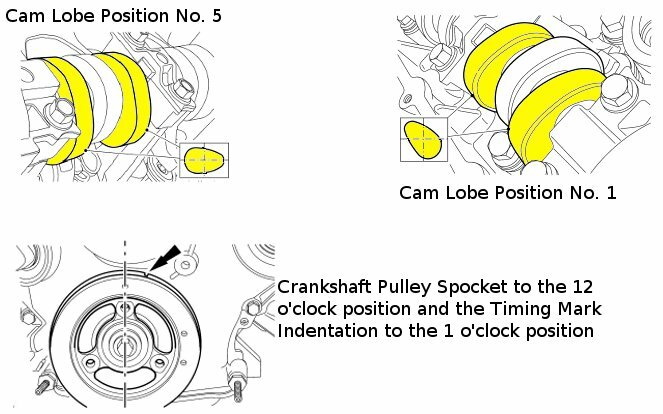 Rotate the crankshaft counterclockwise half turn, positioning the crankshaft damper spoke at 12 o’clock and the timing mark indentation at 1 o’clock. 15. Install the CMP sensor and torque bolt to 89 Lb-in. Connect the CMP electrical connector. SKILL LEVEL: Above Average – This repair requires a strong knowledge & experience level of auto repair and may be best done by an ASE certified auto technician. If you own a Ford Truck made before 2007 and you ever got a very high quote to simply replace spark plugs, then this article is for you. Any shop worth its salt knows full well the issues with trying to remove spark plugs form the Triton V8 3-Valve engine and they will quote it accordingly. They also know that if you attempt to do this job yourself, you will most likely be back to their shop for a much more expensive job of removing or repairing the cylinder heads. The simple fact is that almost every time you attempt to remove these spark plugs, at least one of them breaks off into the cylinder head or worse the threads from the cylinder head are damaged or come out with the spark plug. 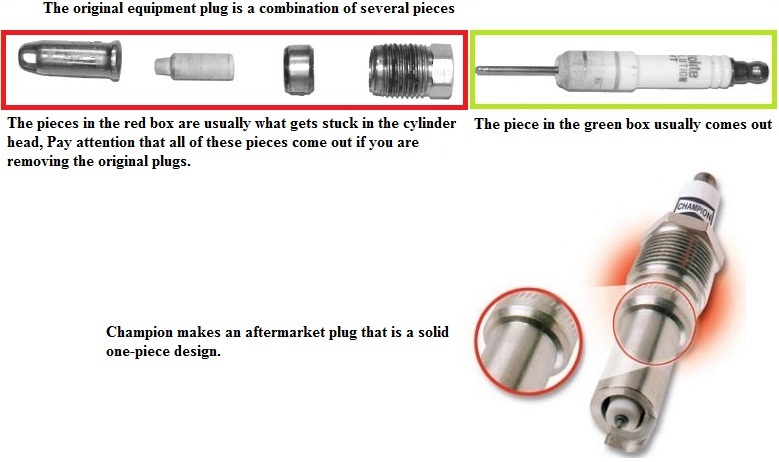 This article explains the extremely common spark plug problems on Ford V8 engines. Their are 2 different issues to address: The first is one or more spark plug(s) broken off or stuck in the cylinder head, The 2nd is the spark plug has blown out of the cylinder head and/or the threads are stripped or pulled out. Issue #1: Spark plug(s) stuck in cylinder head or broken off. The OE extended spark plugs on these trucks are very long and the threads are not attached to the body of the spark plug which allows the spark plug to twist from the torque of trying to unscrew it from the cylinder head. 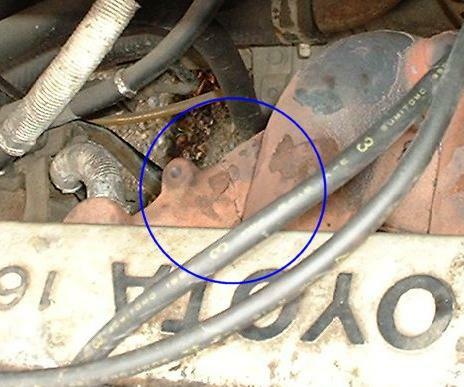 This issue normally pops up when spark plugs are being removed & replaced for normal maintenance or misfire problem. Ford’s recommended replacement interval for spark plugs on most all of these affected vehicles is 100,000 miles. My own personal opinion is that waiting until 100,000 miles is asking for trouble and I believe waiting that long contributes to these spark plug problems. A spark plug goes through trillions & trillions of cycles during a 30,000 mile period, imagine how much abuse they go through in 100,000 miles. 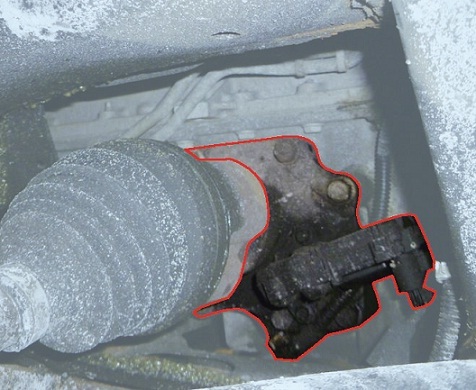 We see most trucks coming in with a misfire problem at around 60,000-90,000 miles. Also the cylinder head is aluminum, the spark plug has steel and other components and the 2 dissimilar metals will lead to corrosion. Every time I remove spark plugs from one of these Ford engines, the threads of the spark plugs are rusty & the base of the spark plug is rusty. The other thing that leads to these breaking off is that the OE spark plug is a 2 piece design and you can see from the images below the difference. This 2-piece design and waiting to 100,000 miles allows excessive carbon deposits to buildup between the lower electrode of the plug & the upper body of the plug. Champion makes a spark plug that is 1 piece and while you should always try to put OE back on, In this case you may want to consider switching to Champion for their 1 piece design. So with all of that said, If you change your plugs at 30K intervals, you have a much better chance of avoiding the plugs breaking and you may even prolong the life of your ignition coils too. 1. CHANGE THEM EARLY, Do not wait until 100K or until you have a misfire. I do a full tune up on my own truck at 30,000 miles. Of course I enjoy doing this type of work and don’t mind at all. 3. Attempt to loosen each plug very carefully only about 1/4 turn. Use premium good quality tools that allow you to get a good solid strong and square position on each spark plug. Once you have them each 1/4 turn loose, then spray more penetrating oil and let it sit, This may sound like a pain, but if you can get the plugs out without them breaking, you have avoided some serious frustration and cost. The passenger side of the engine is where most breakage occurs so pay special attention their. 4. If a spark plug breaks and it usually will if you wait until 100K, then you will need one of these kits to remove the rest of it from the cylinder head. I have used the Lisle 65600 and it worked like a charm and it only took about 15 minutes. Dorman 42045 is similar, however I have not yet used that one and cannot say how it works but lots of them sell. Issue #2. Spark plugs are loose or actually blow right out of the cylinder head and typically strip or pull the threads out with them. Believe it or not this actually happens and it happens very often. Typical symptoms include very loud exhaust popping noise coming from the engine bay area, immediate misfire, and very likely a check engine light will follow shortly their after. Oh and one more symptom is that their is probably a spark plug or pieces of a spark plug laying around in your engine bay somewhere and your ignition coil may or may not still be attached to the top of that spark plug. Look at the coil tower next to the missing spark plug and the retaining bolt and a small piece of the ignition coil are probably still their. 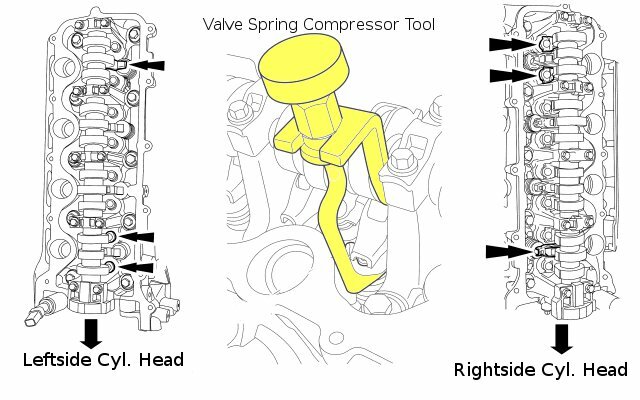 Ford has issued a TSB (Technical Service Bulletin) #: 07-21-2 which replaces TSB #: 7-15-2, This TSB explains that Ford has an authorized repair kit available so you can repair the stripped or missing threads inside the cylinder head instead of replacing the cylinder head. Below we have listed the expensive Ford authorized kit & the much cheaper aftermarket ones available. Overheating condition for Hybrid vehicles. This condition may exhibit a Red Triangle Light (“Stop Safely Light” or “High Motor Temperature“) and/or codes indicating a transaxle over-temperature. Result in reduced power, as the system activates fail safe operation. Today’s vehicle manufacturers rely more on hybrid technology to meet federal emission standards but this sophisticated technology creates new challenges. Something as elementary as a water pump that once simply cooled the engine, is now also responsible for cooling the massive batteries used in today’s hybrid vehicles. 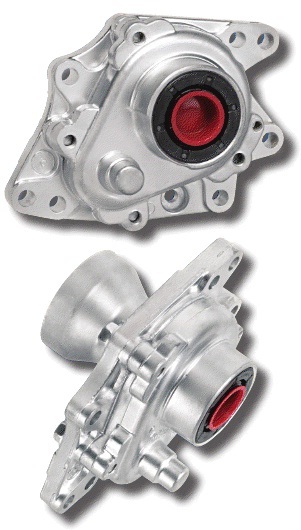 A TechSmart™ hybrid electric water pump offers today’s technician a complete solution for replacing the failed OE water pump that can cause a hybrid vehicle’s battery to overheat. 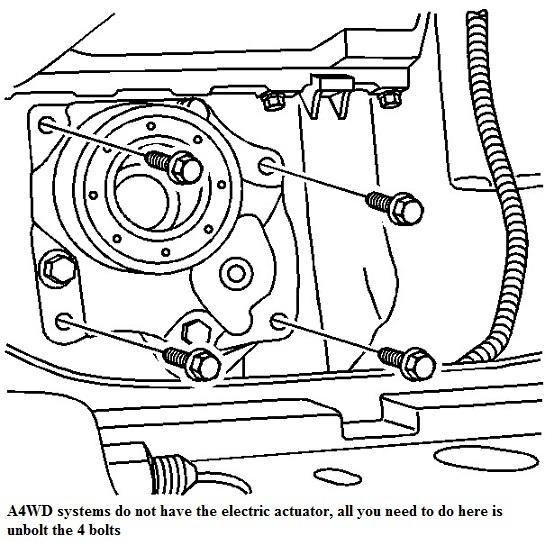 Ford has issued a few Technical Service Bulletin, the lastest being 08-24-5, issued on December 8, 2008. Superseding Bulletin 08-15-1, date of issue August 4, 2008. The codes that may be set P1A0E, P1A0F, POA3C, POPA3E, POA7A, POA7C, and P1A0D. Before condemning the Motor Electronics Cooling System (“MECS”). Check for engine coolant system loss or base engine overheating concerns, follow normal diagnosis in cases of engine overheating. Once you verify engine cooling systems are correct (fluid levels and no leaks), you are ready to move on to the MECS pump diagnostic procedure. Is the electric pump running? If so, verify coolant flow into the MECS reservoir. If there is no flow check to see that you don’t have any hoses that are pinched or twisted. If pump is not running, tap on housing and listen for pump to turn on. If pump turns on, replace pump. If tapping on the pump does not turn the pump on, verify the connector has voltage. If voltage is present double check that the connector is fully seats in pump, before replacing pump. The MECS can only be accessed from under the vehicle. 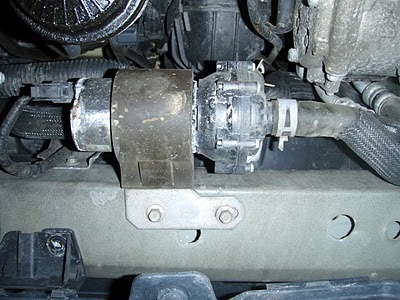 The electric pump is located on the core support, below the radiator, near the oil filter. Replacing the electric water pump only requires removing the Splash shield, two hose clamps, two 10mm bolts and one electrical connector. The mechanical linkage between the wiper motor and wiper arms is typically called a wiper transmission or wiper linkage assembly. Dodge also calls this a wiper module. The wiper transmission assembly allows the mechanical rotary output of the wiper motor to transfer that power to 2 wiper arms/blades. This mechanical linkage provides millions of cycles of operation over the years and therefor is prone to failure. Also using the wiper in heavy weather conditions like ice & snow put much more strain on the wiper transmission. Many times the wiper transmission will come apart and this will cause the wiper to move separately from each other, not work at all, or work sporadically. Tools Required: Basic hand tools including screw drivers, wrenches, ratchets & sockets is all that is needed for this repair. Step 1. Remove the wiper arms from the vehicle. Lift the wiper blades away from the windshield. Once you lift them to about 90 degrees from the windshield, they will stay in place. Next search around the bottom of the wiper arm where it attaches to the wiper transmission. 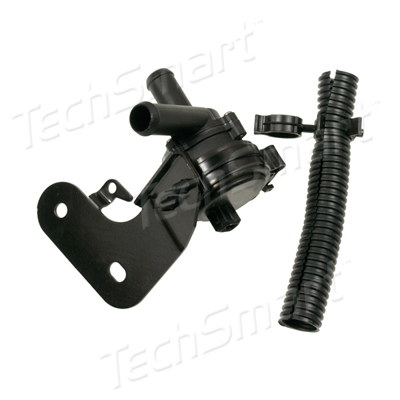 Once you find the base of the wiper arm, their is a little lever to lift up or pull out, This lever is what locks the wiper arms to the wiper transmission. Once you lift that lever, gently rock the wiper arms up and off of the wiper transmission pivots. Step 3. Remove the Cowl, which is the cover located below the windshield and where the wiper pivots stick out. 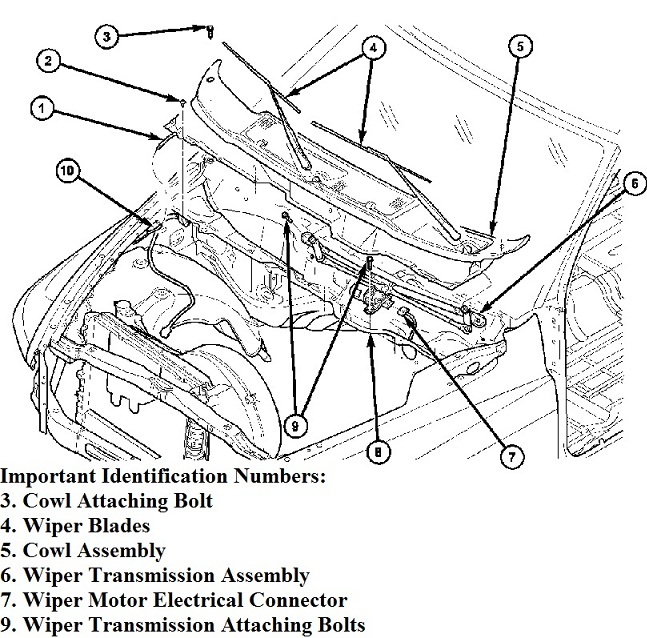 The wiper transmission or wiper module as Dodge calls it, is located under this cowl. Their will be a rubber hood seal at the front edge of the cowl to remove, This simply pulls off. Their will be 6 push pin fasteners located around the front perimeter of the cowl. Remove these, then their is 2 bolts holding the cowl in place. These bolts are located at each corner of the cowl.Remove these bolts and now you can lift the cowl up and out of the way. Step 4. 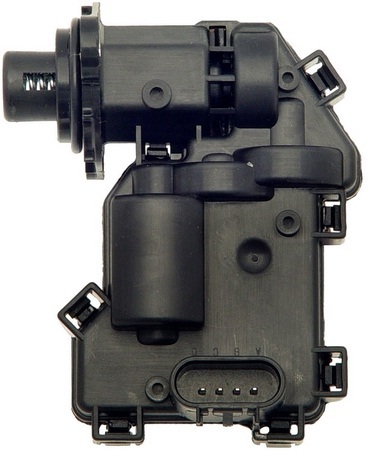 Unplug the wiring harness for the wiper motor, This is a snap together connector located at the back of the wiper motor. Some models may have a little lock tab that should be released. Step 6. Remove the remaining screw that is securing the wiper module to the bottom of the cowl plenum. Installation is the same steps in reverse order. TIPS: The number one cause of wiper transmission failure besides normal wear and tear is running the wipers during any condition that stresses the wiper system as a whole. This is typically snow or ice. 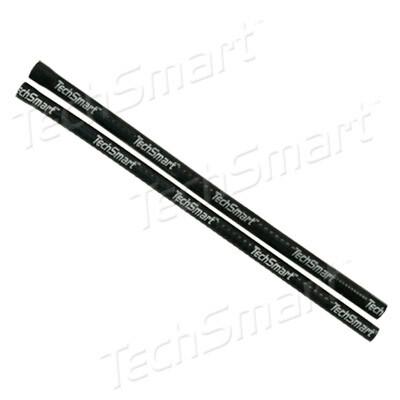 It is strongly recommended to remove any snow, ice, or other debris from the windshield before running the wipers. The wiper system was never designed to remove anything from the windshield besides normal rain. The 2003, 2004, 2005 and 2006 Honda Accord have a very common problem, the shifter button on the automatic transmission gear shift handle breaks off. This can be frustrating, and embarrassing when the shift knob button suddenly comes springing out of the handle. We have released a great kit which can save people a lot of headache, because it’s actually a simple fix. We have put together a video that walks you through how to perform this easy repair. General procedure for replacing Dorman exhaust manifold 674-164, on Chevrolet/Geo/Toyota with 1.6L and 1.8L engines. Before starting any repairs, there are some general procedures to follow for safety precautions. Doing this repair requires some under car work. First you must raise and support the front of the car, using ramps or jack stands. (You should NEVER just rely on a hydraulic jack to hold vehicle up) Second, disconnect the negative battery cable, so not to short anything out while disconnecting and removing parts from vehicle. Now moving on to the removal of the exhaust manifold. 1. remove all electrical wires and vacuum hoses that interfere with removal of the exhaust manifold. 2. remove upper heat insulator from exhaust manifold. 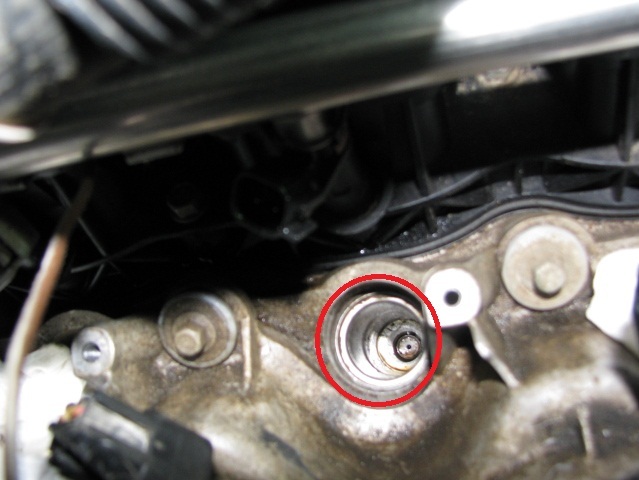 3. loosen the 2 bolts with compression springs, connecting the exhaust manifold to the exhaust pipe. 4. There may be a exhaust stay bolt (mounting tab) located near the manifold to pipe area, this must also be removed. Exhaust pipe- the old donut gasket has been removed and the mounting surface is cleaned of all old gasket material. Cylinder head- the old manifold gasket has been removed and surface has been cleaned. If any of the studs, nuts or bolts look questionable due to rust. We suggest replacing them with factory bolts or grade 8 strength replacments. Install new studs in new exhaust manifold. 2. Install exhaust manifold to cylinder head, installing all flange nuts a few turns by hand to ensure proper alignment. It’s always best to install all mounting hardware a few turns by hand to ensure part and fastener alignment, before tighting. 3. fit exhaust donut gasket in groove, and hand tighten exhaust nuts to keep gasket in place. 5. Torque exhaust manifold bolts to 25 ft. lbs. 6. Tighten exhaust mounting stay to 25 ft. lbs. 7. Torque exhaust pipe-to-exhaust manifold nuts to 46 ft. lbs. 9. Torque heat insulator bolts to 71 inch lbs. 10. Reinstall all electrical wires and vacuum hoses that were disconnected for removal of the exhaust manifold. Lower the vehicle safely and reconnect the negative battery cable. •Start the engine and make sure that there are no exhaust leaks. New exhaust manifold will have a funny smell for the first few miles of opperation, while the anti-corrosion coating burns off. What are Hollander Part Numbers!? People often ask why their new part has a “Hollander” part number on it. Is Hollander a brand? What exactly is a Hollander part?! Hollander is nothing more than a universal part numbering system. Hollander is a company which was originally created in the 1930’s to help the salvage yard industry organize their parts into a universal and interchangeable part numbering system. You can read their interesting company history here: Hollander Interchange Company History . Their numbering system has recently taken off for more than just the salvage industry. 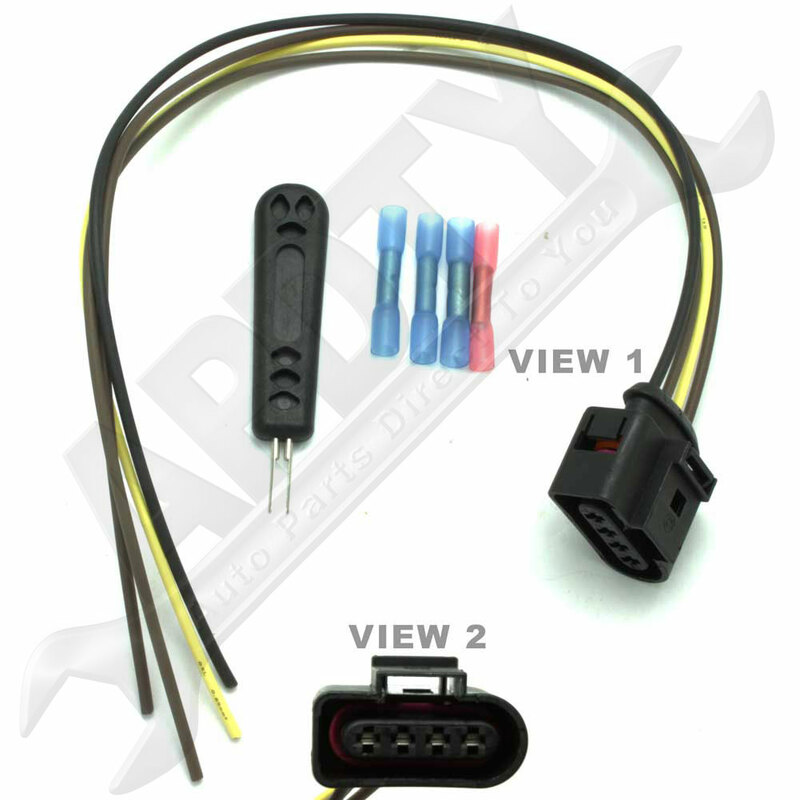 Many internet auto-parts companies, such as www.apdty.com and brands like Dorman, are using this flexible system as a way of identifying what vehicles their parts fit. You can often do an internet search for a single Hollander part number and find multiple companies and brands that have the part you are looking for. So next time you are wondering what that strange looking Hollander part number is, just thank Mr. Hollander for helping to ensure that the part you have is the correct one for your car.